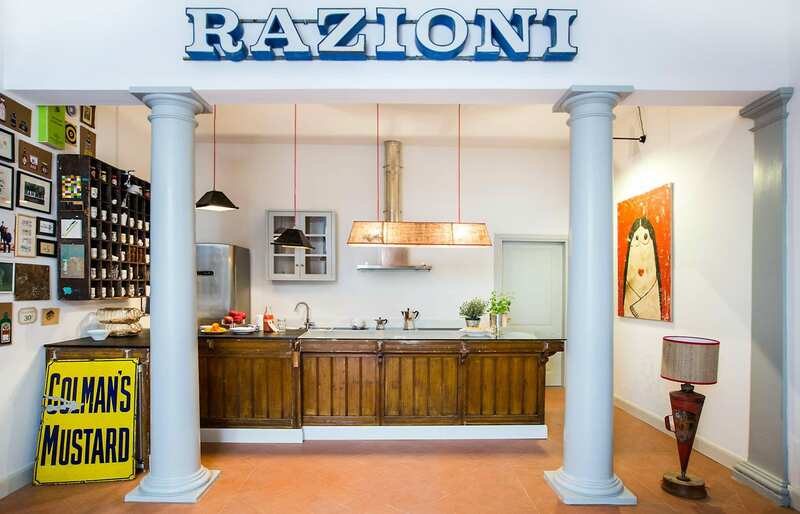 The creative brains behind the impossibly stylish SoprArno Suites—an architect, a furniture-obsessed lawyer, a creative carpenter and a graphic designer—have pulled out all the stops with this urban sanctuary near the Ponte Vecchio. 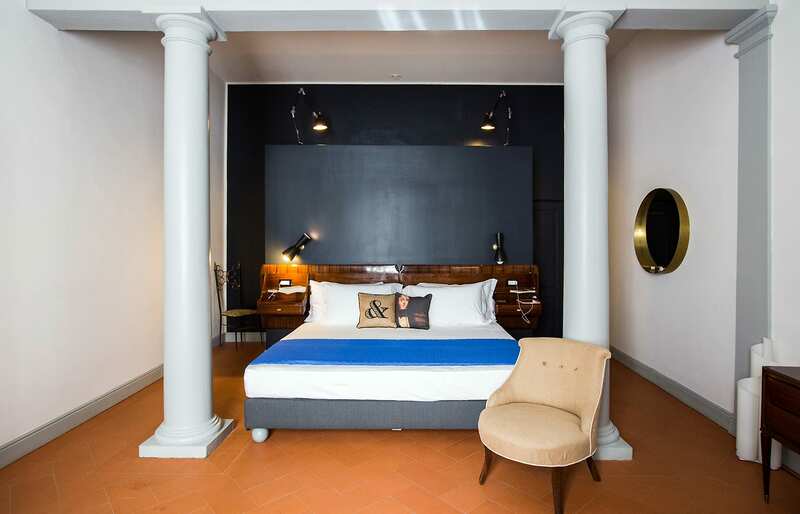 Each of the 10 guestrooms has been individually designed—think distressed stripped floor boards and unique modern art pieces mixed with indulgent, deep freestanding baths and ornately painted ceilings. 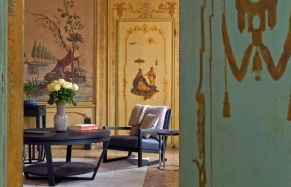 Original frescoes and gold leaf–covered tables add a splash of Italian opulence. There are no traditional hotel services, but breakfast is served daily and the rooms are so chic that you’ll hesitate to venture past the door. 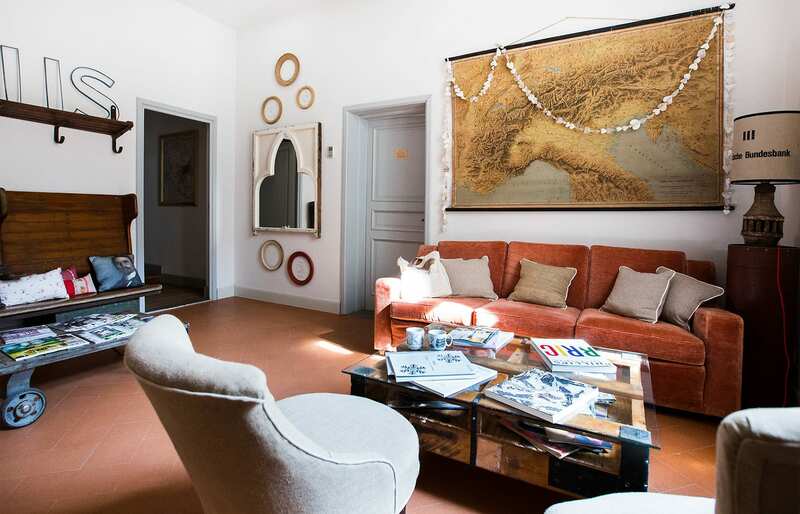 Aside from the impressive design credentials, one of the main selling points of this property is its laid-back location, across the river from the crowds and close to the Pitti Palace and the sprawling Boboli Gardens. 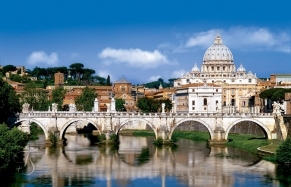 The Boboli Gardens are a short stroll from the property. 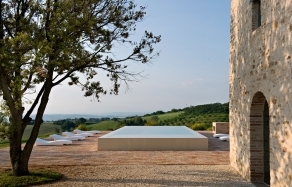 Laid out in the 15th and 16th centuries, they’re dotted with Renaissance statues and ornate fountains and serve as a good introduction to Italy’s formal gardens. Nearby is La Specola, an 18th-century natural history museum where you can admire fossilized skeletons and explore the botanical garden. 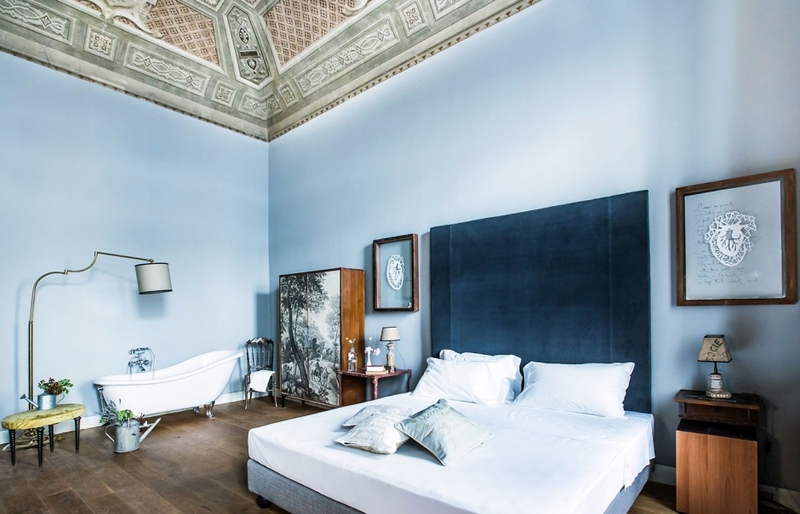 Just around the corner, the 15th-century Pitti Palace is a vast Renaissance palace that was once home to the Medici family and served as Napoleon’s power base. It’s now the largest museum complex in Florence. Head to La Mangiatoia on Piazza San Felice to dine on thin crust pizza and veal chops with the locals. — Text courtesy of Jetsetter.com, modified to fit the format. 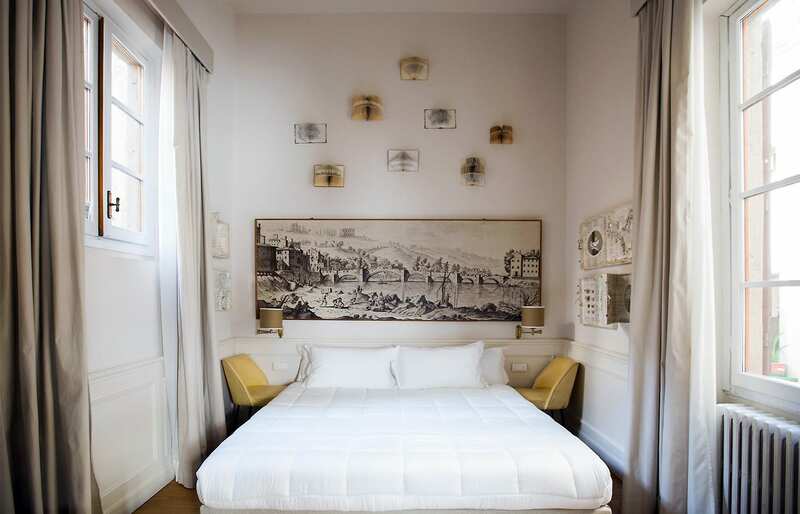 SoprArno is a contemporary 10-suite urban crash pad decked out with quirky artwork and designer furniture—close to the Ponte Vecchio. Cozy library, stocked with titles on world culture. 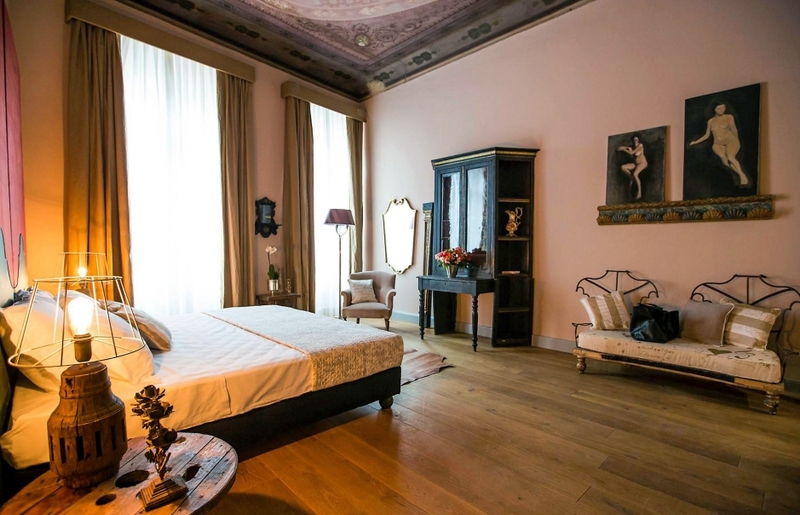 The hotel is located just a short stroll from the Pitti Palace and the Ponte Vecchio. Both are a must-see, obviously.